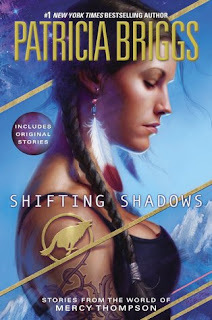 Ever read a book that is part of a series that you are so excited about and enjoying so much that you had to push back and take deliberate action to read in smaller bites? Yeah, that was this book (given my druthers I would have zipped through this book but I decided to spread out my entertainment). The book starts slow with some pretty clear foreshadowing that like a lot of the Joe books everything isn't going to be all-right in the end and that the country as well as the main characters aren't going to get out of this un-scarred (happens in a lot of Jonathan Maberry's books). I am proud of my self control to have taken two whole weeks to listen to this book (and really, this is a series where I seriously recommend the audio book. Ray Porter, the narrator is awesome. Even Jonathan has admitted that now he hears his characters as though narrated by him, as he is writing new stuff! His skill at presenting these stories is a significant enhancer). As to the story? What if the lights went out? What if everything that runs on electricity other than the tiny bit used in brains/hearts stopped working? (side note, this is the basis on a global scale for at least one TV show and one really good book series) What else could you do to make that worse? Well if you read this book you can come up with some idea's. The Ledger series has been delving more into the paranormal (vs the Science gone bad from the first couple) the past book or so, and this keeps it up. I really cannot think of much more to say that doesn't potentially spoil the story. BTW, there is a great little scene in this book that is a treat if you have read some of Maberry's other series's (beyond the fact that those other story-lines all have similar characters and names in them). 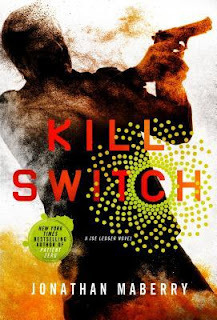 So somehow this book ended up on my pile (Audiobook) and to pace myself with Kill Switch I decided to give it a try. Overall the stories stood up well even accounting for the fact that I am effectively unfamiliar with the Mercy Thompson world. It actually may motivate me to try at least first book of the main series. A short little palette cleanser from some of my recent books. This novella fills in a little of the backstory of the Kris Longknife series. Told from a different perspective than normal, mostly from her grandparents point of view (mostly General Trouble). It was interesting to see how the events of the latest book played out from another perspective. Nothing significant happens in this book but it was fun to spend a little more time in this world. Another interesting continuation of the story of Andrew Grayson. Like the other books there is another fast forward that leads to rejoining Andrew and his wife a year after the events of the last book. Desperately rebuilding the military, Andrew has been co-opted to become a Drill Sergeant, pumping out new recruits into a military that is desperately short handed. But Andrew is not fated for that career for too long as his skills as a successful leader are again called for. Tasked to support a special team to go after the leadership of their confederation who fled just prior to battles of the last book, Andrew picks up a promotion (to the amusement of his wife) and is tasked to put together and lead a team to see if some of those ships that disappeared can be put retaken and put to use in their upcoming campaign to retake Mars. So I am much more familiar with Mark Tufo's Michael Talbot character (I actually read the first book of John Obrien's Jack Walker series last month), but this seemed like a fun little collaboration between two characters (+ Trip from Talbot's world). Each of the characters got to interact with the other's main issue (Talbot's zombies and Jack's nighwalkers) and introduced a new bad guy to this world (the Whistlers). It took a little while for the characters to meet up finally, but it was worth it. I am looking forward to the next book to see what happened to this world. So it was free. And I got a lot of enjoyment from it. So win for me. This short story/novella was offered free on Audible so I couldn't pass on a free story from one of my favorite authors. Goofy? Yep. Chock full of pop culture references? Check. Overall it feels like this was a collaboration of a bunch of drunks (I can see it now.... "hey! hey! Put in Chuck Norris"), but not just any drunks but a bunch of SF/Fantasy/Mil-SF Con drunks. This story made my run fly by.